Millennials care about the environment and have positive attitudes toward green products (Smith 2010). Although the research on green marketing and advertising is growing, scant cross-national research has devoted much attention to examining millennials’ perceptions of green products, let alone their behavioral intentions to purchase them. This study aims to investigate the influence of attitude, social pressure, and perceived behavioral control on environmentally oriented millennials’ behavioral intentions to purchase green products in a cross-cultural context. American (individualist) and South Korean (collectivist) consumers are selected for comparison because of their distinctive cultural differences in consumption values as well as their perceptions of green marketing practices. 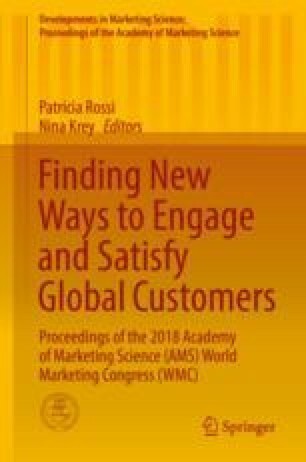 To provide a better understanding of green marketing effects on millennials, this study employs the theory of planned behavior (TPB) as the theoretical underpinning to examine the effects of culture on purchasing green products. The results reveal that consumers’ environmental concern has no direct effects on intention to purchase green products among millennials in both countries. However, the findings reveal that the impact of concern for the environment is actually mediated through attitude toward green product and social influence that subsequently influence millennials’ green consumption behaviors. The positive relationship between environmental concern and attitude toward green product in both countries is consistent with Matthes and Wonneberger’s (2014) study. The results also suggest that cultural effects might influence millennials’ intentions to purchase green products. Both attitude toward green product and social influence are significant predictors of intention to purchase green product in both samples. However, the results show that social influence exerts a much stronger influence on Korean consumers’ purchase intention than attitude does. Although perceived behavioral control is positively related to purchase intention for the American consumers, its effects are being marginalized by the influence of attitude and social influence. This suggests that American millennials do have certain control over their green behaviors. Further analysis of the data shows that American millennials exhibit more concerns for the environment than their South Korean counterparts. Similarly, American millennials’ intentions to purchase green products are higher than their Korean counterparts. In conclusion, this study provides some preliminary evidence concerning what factors motivate young American and South Korean consumers to consume green products.